I love looking back at the year, and thinking about everything that has happened. Appreciating the good moments, learning from the tough lessons, and really just feeling grateful for all the opportunities I have in my life. The college admissions landscape has changed. From parents, who applied to college in the 90’s, to even myself and the students I help. It is now a completely different process compared to what it was just a few years ago. 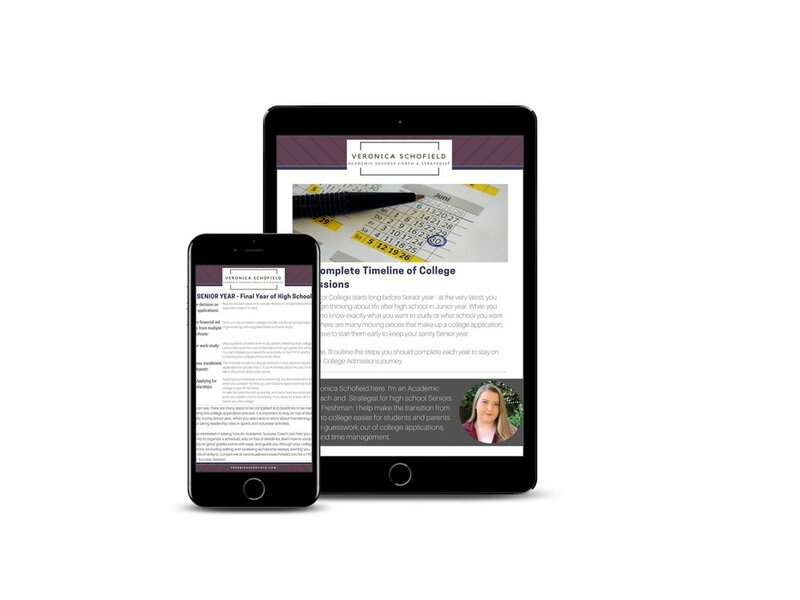 Today, I want to share with you a list of 5 lessons you NEED to know if you are applying to college in the next few years. 1) College Fit is the MOST important, and any school you’re applying to needs to ‘fit’. There is no use in applying to schools that don’t ‘fit’ the student. Don’t apply to schools just because they ‘fit’ your mother, your brother, your sister or your friend. You will waste time (on the application), money (on the application, and on credits that don’t transfer when you finish the first semester and realize you can’t stand to go back), and put yourself through a whole lot of hassle that you could have avoided by doing your research ahead of time. 2) Any school you apply to is going to be competitive. These days, it’s not just the Ivy Leagues that are competitive. To secure a spot in any school is an incredible feat, whether you’re applying to Yale, MIT, UNC or Colgate. There are simply more students submitting applications than there are spaces at college (and it doesn’t help that with the Common App, students can apply to many schools at a time). Students need to realize that all schools are competitive, and prepare themselves for that. They need to prepare the BEST possible application, that highlights their personality, strengths, perspectives and what LIGHTS them up inside (their passion!). They also need to prepare mentally by having a clear plan A, B, C, and D, and understand that getting deferred/rejected is not the end of the world - it simply means that that wasn’t the school for them, because things always work out the way they’re supposed to in the end. 3) Recommendation Letters are more important than ever before. In a time when every student has exceptional GPA and standardized test scores, has volunteered 100+ hours, and has an incredible Stand Out Factor (I’ll talk about this next), schools are relying more and more on Letters of Recommendation to understand who a student is, and how they can contribute to the culture at their college. Getting accurate and complete letters of recommendation from teachers and coaches is a skill. Students need to provide them with brag sheets of SPECIFIC examples and qualities, and ask the recommenders to speak to those aspects. Generic letters with no specificity will do you no good, and with Admissions Committees putting so much value into them, Students need to make sure they’re asking the right people, and giving them the information they need to paint a clear picture of their experiences and personality. Reading that title, you may have thought… well, duh. Like I mentioned in lesson number 3, there are so many high-achieving students competing for the same schools. If every student has a high GPA and perfect standardized test scores, and all sorts of extra-curriculars (I’ll talk about that next), how can schools differentiate from one student to the next? With 500 applications all looking the same, what will make your child’s stand out from the rest? The answer? Finding what LIGHTS your child up inside, and exploring it broadly and deeply. Learn everything you can learn about it, take on a huge goal, turn it into an incredible accomplishment, and make it something your own. This could be anything. The key here is to find something that the student is truly PASSIONATE about (and I hate using that word, college applicants overuse it the most), and show that they love it so much that they’re willing to do anything and everything to become better at it, and know everything about it. Examples? These include things like writing a book or a play, hosting a charity event or fundraiser, starting a volunteer organization, or building an app. Focusing on one thing, the one thing that you love talking about and can’t stop thinking about, and focus on that one thing only. Don’t just say you’re passionate about something - prove it. 5) Narrow down your extra-curriculars - quality over quantity! It’s better to focus on one thing and become exceptional at it, than to try to do everything and spread yourself so thin that you’re doing things you can’t do well, or that you simply don’t have time to do well. It doesn’t do any good for a student to volunteer at an animal shelter, and at a hospital, and also read to underprivileged kids and tutor elementary school students and join the swim team and the track and field team and scouts and dance and jazz band. When are they going to find time for their homework, college applications and SAT prep, nevermind working on a stand out factor or… dare I say it, relaxing?! If you do more than you can handle, you’ll end up with mediocre results in everything. Stick to one or a select few, and make sure they’re all things you LOVE - not just things that you THINK admissions committees want to see (they’ll know it’s not genuine, and you’ll end up wasting your time). So that’s it for 2018! Thank you for joining me on this crazy ride, and I look forward to 2019 and all it has to offer! In February, I will be opening up my 1-on-1 College Application coaching to current high school Juniors, so we can get a head start on narrowing down their college list, working on their stand out factor, evaluating their extracurriculars (make sure they’re the right ones for you!) and getting their college applications started early. This program is by application only, and is sure to fill up (I only take on 5 students at a time, so I can give them my undivided attention!). If you’re interested in seeing if this program is right for you, click HERE, and we can hop on a free initial session.